REI designed a machine to automatically cut blinds while still in the packaging box. Multiple patents received by REI employees. Prototype machines developed for proof-of-concept and in-store testing. REI created a lean cell production cell to produce the complex assembly at a rate of eight (8) machines per week. 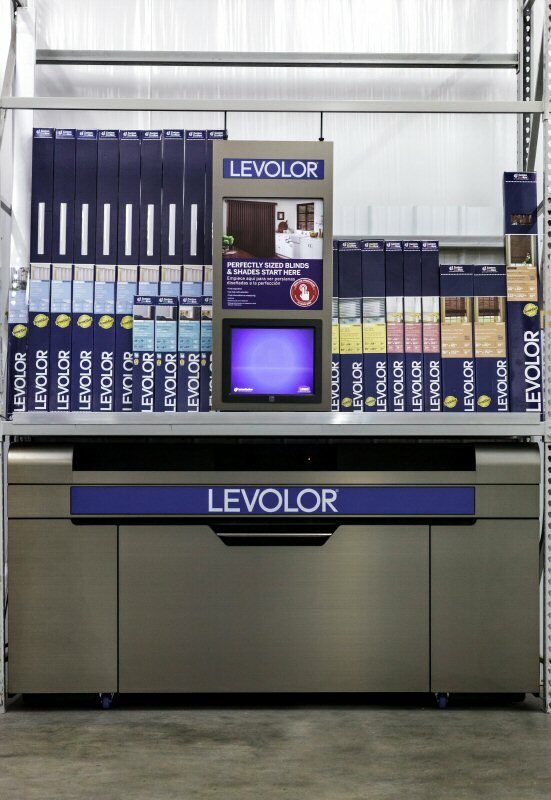 540 machines built for Lowe’s retails stores in nearly every state in the USA.